At small scales, magnetic materials have different properties from those observed for macroscopic sizes, opening the field to a new electronics; spin electronics. Where conventional electronics uses electron charge, spin electronics provides an additional degree of freedom by also manipulating the electron’s magnetic moment; the spin. Experimentally demonstrated in 1988 independently by Albert Fert and Peter Grünberg, winners of the 2007 Nobel Prize in Physics for this discovery, spin electronics is now widely used in computer hard disks, magnetic memories but also for new types of sensors. Indeed, the fundamental small-scale properties of this magnetic electronics allow making very accurate measurements spatially, temporally and for very weak magnetic fields. Magnetic field sensors exploiting these properties are increasingly used in consumer applications, such as automotive applications. They also provide new opportunities to probe living organisms functions. It is thus possible to detect cells in very small volumes, or to measure heart, muscle or neural activity at various scales. In this presentation, I will show how spin electronics can be used in magnetometry and illustrate its in the field of biological magnetic measurements. Myriam Pannetier-Lecoeur is senior scientist at Service de l’Etat Condensé at CEA Saclay. 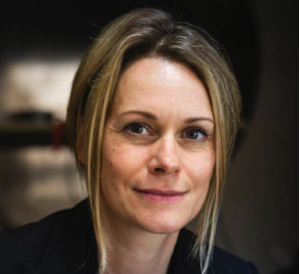 After a PhD received in 1999 from University of Caen and a post-doctoral fellowship at the Vrije Universiteit Amsterdam on high-Tc superconductors, she joined the nanomagnetism group at SPEC-CEA Saclay in 2001. Her research focuses on spin electronics, noise measurements and magnetic sensors. In particular she is involved in field sensors development for biomedical applications, such as Magneto-Encephalography, Magneto-cardiography or more recently on magnetic probes for neuronal activity recordings. She has authored more than 60 articles, 3 book chapters and filed 20 patents.